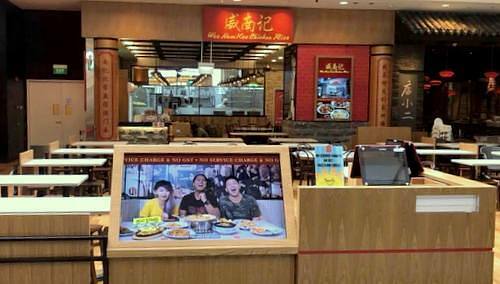 Wee Nam Kee Chicken Rice restaurant has a total of five locations in Singapore, including one within Jurong Point shopping centre (1 Jurong West Central 2). Founded in 1989, Wee Nam Kee Chicken Rice is a family restaurant serving a wide range of Nanyang-inspired dishes to complement their signature Hainanese Chicken Rice. Some of the customer favourites on the menu include such delicacies as Curry Fish Head, Cereal Prawns, Crispy Roast Pork, Deep Fried Tofu, Stir Fried Baby Kai Lan, and many other local favourites. The official Facebook brand page for Wee Nam Kee Chicken Rice is available at www.facebook.com/weenamkeechickenrice/. Following the Facebook page, you’ll receive updates about the restaurant chain’s promotional offers, new outlet openings, events, and more.